At Legal Expert, we have helped passengers in car accidents get the compensation they deserve. In this case, the claimant was a 44-year-old woman. She was a passenger in a vehicle and sustained several injuries, including a ruptured breast implant, in a car accident. This rupture and subsequent leak caused an abscess. These injuries required surgery to fix the abscess and rupture. The case was settled out of court and the claimant was awarded £20,000 in compensation. How Common Are Car Accident Passenger Injuries? Passengers in car accidents can suffer a range of injuries from the minor to the serious. In this case study, the passenger suffered more serious injuries requiring surgery to correct. Luckily, in the UK, the number of car accidents, injuries and fatalities are still declining over the long term. As such, these types of accidents are gradually becoming less common. The number of fatal car accidents has almost halved between 2000 and 2013 as seen in government statistics. Solicitors acting on behalf of the claimant, in this case, alleged that the defendant was negligent. They alleged that this negligence extended insofar as that they failed to drive safely and that they also failed to prevent the collision from occurring. This was their responsibility as theirs was the moving vehicle. It was argued that this accident caused the breast implant of the claimant to rupture. The defendant did not immediately admit liability and instead, the defendant alleged that their speed at the time of the impact was minimal (speed not specified in available records). It was claimed by the defendant that the injuries described could not have been caused as a result of the injury. In response, the claimant maintained that their injuries, and the ruptured implant, were caused by her car accident passenger accident. She also maintained that the abscess was a direct result of the rupture, caused by the accident initial injuries. The claimant also alleged that had it not been for the accident the initial injury and subsequent complications would not have happened, meaning that the surgery would not have been necessary. The claimants’ injuries occurred as a result of a car accident in 2011. The woman was a passenger in the front seat of her friends’ car. At the time she was wearing a seatbelt, as drivers and passengers should according to the law. In the UK drivers are responsible for ensuring that all passengers in their vehicle use any seat belts provided. You can find information on the relevant legislation on the UK Government website. At the time of the collision, the vehicle was stationary. Another vehicle collided directly with the car. When the accident occurred, the claimant’s seat belt functioned and tightened across her chest, to prevent her from being thrown forward. Immediate injuries sustained by the claimant included some immediate shoulder and neck pain. Later, following the accident the claimant also started to develop some swelling in her right breast. Upon examination by her GP, the claimant was referred to her local hospital where she underwent an ultrasound scan. The ultrasound scan indicated that the claimant had a ruptured implant in her right breast. This was identified as the cause of the swelling the woman had experienced. As a result of the ruptured breast implant, the claimant was experiencing an increasing level of pain in both her breast, as well as radiating out into her armpit. It was found that the implant had leaked into her lymph node. This rupture and the subsequent leak had caused her to suffer an abscess. Following this discovery, surgery was recommended and the abscess was removed during an operation. How Much Money Can A Passenger In A Car Accident Get? 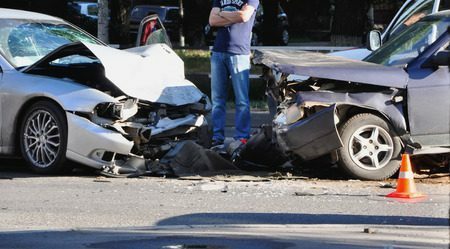 How much money can a passenger in a car accident get, depends on the nature and severity of the accident and both physical & psychological injuries were sustained. The case did not progress to a full court hearing as the defendant admitted liability before it reached this stage. The two parties came to an out of court settlement. The final amount of compensation was totalled at £20,000. Of this, £18,000 of the damages were attributed to the pain and suffering the claimant had suffered as well as her loss of amenity. The remaining £2,000 was accepted by the claimant in respect of other expenses and interest they had incurred. Passengers in a car accident or crash can sustain a wide variety of injuries. These can include injuries to the neck (such as whiplash), cervical spine injuries, back and spine, injuries to the head and brain, chest trauma, and even psychological injuries such as Post Traumatic Stress Disorder or PTSD. If you have been a car accident passenger and have suffered an injury, you could be entitled to claim compensation for your injuries as well as expenses which you may have incurred as a direct result of the accident or injury. Our services won’t cost you a penny and all our costs are recovered from the other party. If your claim is not successful, you still won’t have to pay anything for our services. Find out more about car accident passenger claims with Legal Expert. If you have been in a car accident caused by a family member, you can still claim compensation.